The Amara Interior Blog Awards celebrates and engages with the most authoritative and respected bloggers in the interior blogging industry. Believing that bloggers are an integral part of the interior design community, the Amara Team has worked closely with many of these talented individuals over the years and strive to give back to this vibrant community through the awards. 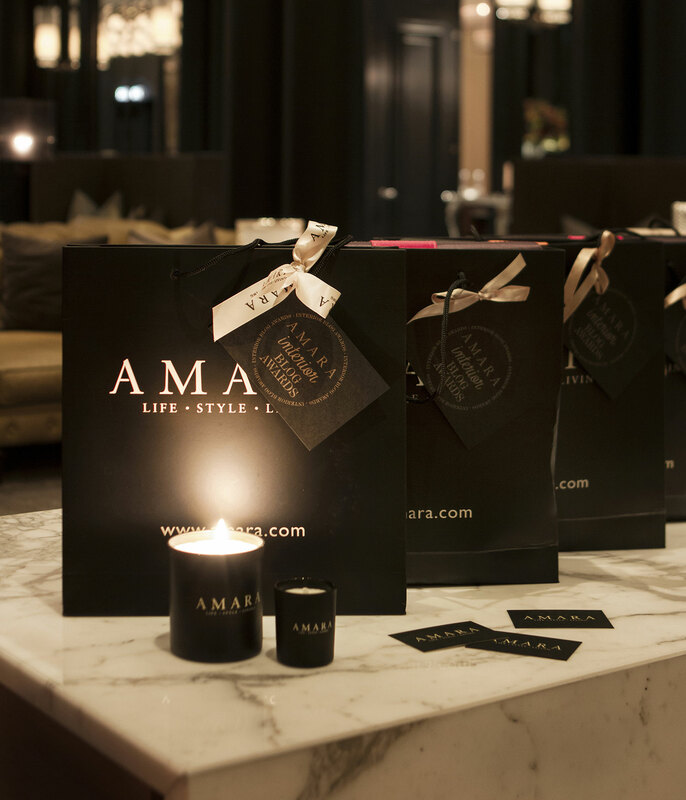 A concept first introduced in 2013, the Amara Interior Blog Awards include a series of phases throughout a three month period from nominations & voting, to shortlisting, and the project culminates in an annual awards ceremony attended by the shortlisted bloggers, sponsors and judges. For the 2018 awards we will be introducing a brand new shortlisting system which will combine the judges’ views and the public vote to give the blogs in each category an overall score. The blogs with the highest overall score in each category will go through to the shortlist and be invited to attend the 2018 awards ceremony. The bloggers’ Choice Award is the most sought-after accolade of the awards and is awarded to the most outstanding blog on the shortlist. The winner of this special award will be selected from the shortlist by the bloggers involved in the entire 2018 campaign. The first awards ceremony held in 2014 attracted much attention from the blogging industry with more blogs nominated than we could have imagined. Each year the campaign has grown in size and now in its fifth year, the 2018 awards will be even bigger still. Planning is well underway to ensure the awards ceremony boasts even more spectacular features than the previous years and you can keep up to date with all information, from the opening of nominations and voting, to the release of the shortlist on the Interior Blog Awards website. The Amara Interior Blog Awards is now in its sixth year with the 2019 campaign well underway. If you’d like to learn more about the #IBA18 awards and how to get involved, please contact us.